Yes, I'm finally back after a month! After having my audit peak, I realised getting enough rest and spending some quality time with my loved ones are so crucial. So, I took some time off, just laying on my bed, surfing the net, playing Sims (okay, I know I'm childish haha, don't judge) and enjoying the company of my family. A very much needed bonding time! When I was recharging, I went through the private messages on my Instagram (jeslynchia_), that I realised quite a number of you actually asked me about my skincare products. Thus, I'd like to start something new - to share my Daily Skincare Routine in this post! Naruko, you might not have heard about this brand or you probably have heard about it, but you think the hype is dying, thinking that : No, this is not famous, why should I risk to give it a try? Trust me, this thought came through my mind as well. However, this is an honest skincare review from the huge fan of Naruko products, as I have been using it since I was 19. So, using it for 3 years in a row, I would say it really did help me improve my skin condition. I never really had any breakouts after Naruko came into my life, which is the reason that I am always with Naruko. 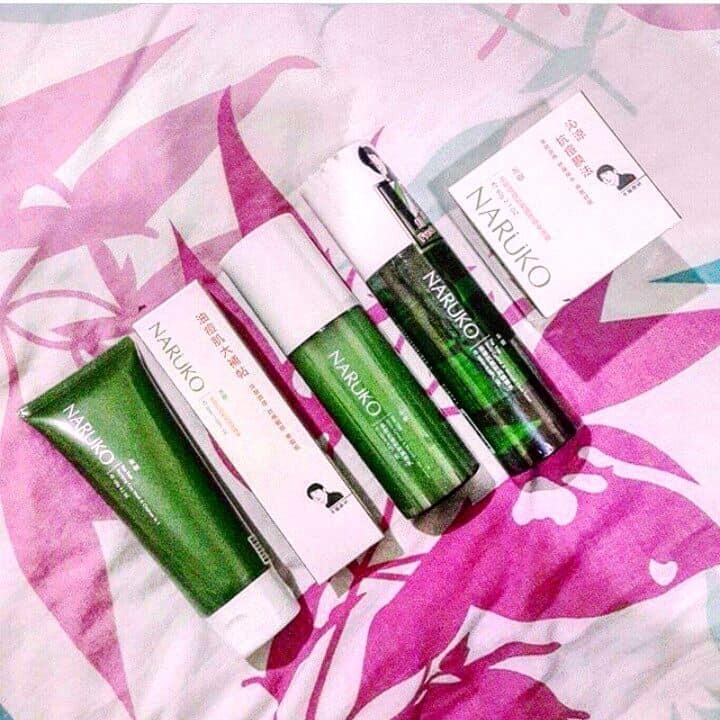 Now, let's take a look on my first set of Naruko skincare products - Tea Tree, the skincare series for Pores and Oil Controlling - the potent antibacterial properties. As the weather in Malaysia is relatively warm, our skins are very likely to turn oily and greasy. Hence, Tea Tree products would be a great helper if you are facing such problem. Before I gave it a try, I actually had some acne, and we all know the reason of having acne, that is due to unbalance oil-water. With the use of the Purifying Clay Mask & Cleanser in 1, you get deep cleansing, then Toner would help the reduce the pores and restore the pH balance of your skin. Besides tightening the cell gaps of your skin, Toner also acts as a layer of protection to it, as it reduces the penetration of impurities and environment contaminants into the skin. You shall then follow by the Lotion / Moisturizer, the texture of this is slightly different from the others. The lotion is thicker and viscous, giving you the refreshing and hydrated skin, meanwhile it also brightened up your skin. Tea Tree Shine Control & Blemish Clear Serum, a 4-in-1 booster, which was targeted to reduce acnes and control blemishes. I would say, this 4-in-1 serum actually plays a big part of the skincare routine, without it, the effect of using the Naruko Tea Tree set would possibly be cut down to 50%. This proves how important it is, and it is better to use full set of skincare products than choosing it at ala carte basis. When it comes to the end of the day, the Award Winning - Night Jelly is a MUST. You could treat it as your night cream or apply a thin layer of jelly at the last stage of your skincare. It might feel a little viscous at first, but it will slowly be absorbed and eventually you feel hydrated with no greasy feeling. For you have been continuously applying before going to bed, it will have the effect of calming redness and oil balancing. As you have seen the prices that I listed below my photo, this skincare set is very much affordable and it has positive reviews from most of the users. Now, why not give it a try to get over your acne & oily skin issue? P/S : The Tea Tree set is relatively strong in fragrances, kindly seek advice from respective consultants before using it, should you are sensitive to strong scents. Stay tuned for the next post, that I have changed to another series of Naruko as my acnes and oil balancing are under control! How long does these set of product last long ?? 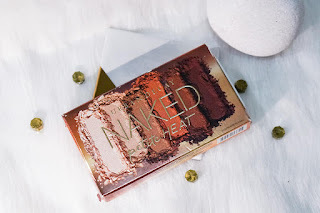 The rule of thumb for natural beauty tips is to keep things simple, whether it is simplifying the natural skin care products you use or the beauty methods you practice, simpler is better. And I'd like to share with you some of the simplest natural beauty tips I know, just have a peek here. Copyrights (c) JESLYN C 2018. All rights reserved.